Robert Frost captured these “forks in the road” in his brilliant poem, “The Road Not Taken.” In that story, he tells how the traveller took the road less travelled and how it made all the difference. While true, it also implies that it was the best of two roads…one that not many take. Sometimes the road not taken is the road we’ve always wondered about, and regret not taking. While too late now, it’s still one of those moments in our lives that we wonder about; a “shift” in our lives that would have had a dramatic impact and kept us on the road we were meant to be on. We may think, or even fool ourselves into believing, that we made the best decision for ourselves at the time; but, I think we think ourselves out of what might have been the better, albeit lonelier, road. And it’s likely not the popular road, but it is our road. Oh, how easy it is to become our own worst enemy and let that “noggin” sitting between our shoulders come up with all sorts of reasons why we should or shouldn’t do something. We swat reasons for and against back and forth, faster than a tennis ball pulverized on a professional tennis court. We write pros and cons ad infinitum, we badger family and friends to get their advice (maybe they’ll let slip something actually useful), or might even ask God or flip a coin to let the fates decide. I agree that many things, especially those bigger life decisions, need to be given good and proper consideration. After all, these are the decisions that set the course of our lives in so many ways. And we shouldn’t take them lightly. However, the point is, we often over think and fear to risk. So we take the safe path, convincing ourselves that the other choice would be too difficult and too risky. But when we look back we can see that the other choice, the one we didn’t make, was actually more in line with who we are and could have become. And maybe that’s the road less traveled. 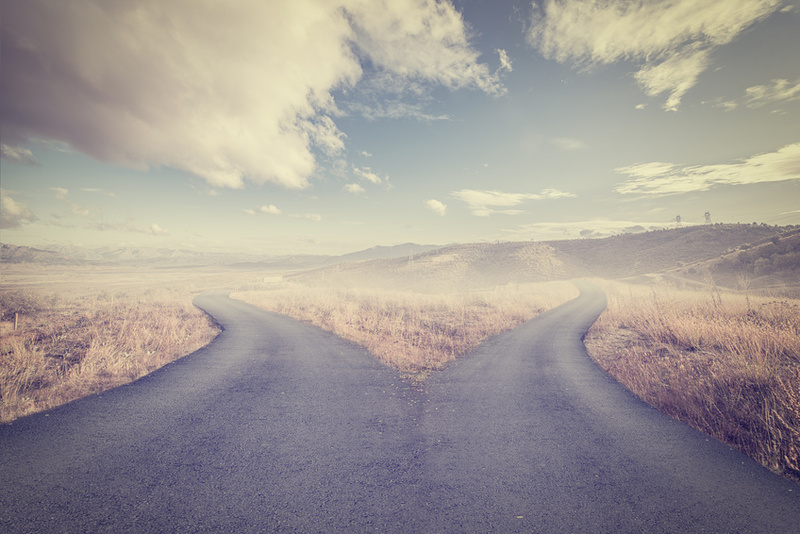 Far too often, we talk ourselves out of making a choice that we forever regret – or at least realize would have made us a better person at the time and into our future. Money over a team sport. Dollar signs over a winning (or losing) scoreboard. Buying stuff over staying true to myself and what I can do. And here’s what happened to me: I worked nights (more money with shift premiums) but had to drop out of college: at first because I couldn’t stay awake in class, and then, I didn’t care if I went to class…so I didn’t. So I dropped out (I suspect they booted me out but sometimes selective memory helps us block the bad stuff) but I made lots of money…and was popular with the college students who didn’t have any. When have you done this to yourself? Debated something to death until your only choice, it seemed, was not to do it because you had twisted yourself up so bad that you lost sight of the original, and best decision you needed to make? Trust your gut, your intuition. Often that “little small voice” is the one screaming loudest. Don’t overthink yourself out of an opportunity. It may have presented itself to you because it’s something you desire and must pursue. Yes, it can be risky taking “the road less traveled”. It will sometimes be lonelier, but think of it this way, you are the only one harvesting the riches on the path. Remember that anyone you go to for their opinion offers you exactly that – their opinion. That doesn’t make it right or wrong or gospel. It simply means it’s their opinion and is often based on their perspective of the world. Distinguish between what is from the true you versus what is from the fantasizing you. Basketball was the true me and the job (money) was the greedy me. And yes, I have always regretted not playing a few years of college ball. Don’t follow the masses off the cliff (I know, cliche) but do follow your heart in the direction you want to go. You will find there are more people on that road with you as it becomes more and more accepted to deviate from the “normal” expectations of society. Don’t look back and wish – look forward and do. I wish you all the best as you make the choices that are best for you.